When You Need Oral Surgery, Request the Best! We are so fortunate to work with the finest dentists, orthodontists and physicians in Michigan. And we appreciate the opportunity to help you on your journey to an amazing smile. Start by choosing the location near you. With in-office IV sedation, we make your oral surgery experience as comfortable as possible. From wisdom teeth removal to corrective jaw surgery, our caring staff ensures your experience is as pleasant as possible. Using state-of-the-art technology, our team of oral surgery specialists will create a smile you can be proud to share. From bone grafting to surgical placement, we offer our patients a better implant experience. Providing superior results using the latest technology and treatments. Michigan OMS is Southeast Michigan's most highly recommended practice for dental implants, wisdom teeth removal, jaw repositioning and other oral and maxillofacial surgeries. Our oral surgeons are some of the premier surgeons at local hospitals and clinics in Metro Detroit. With offices in Clinton Township, West Bloomfield and Richmond, wherever you are, you are never too far to choose Michigan OMS to correct, improve, or enhance your smile! The truth is, nobody is born with a perfect smile. And sometimes, a really great smile deteriorates over time. The professional oral and maxillofacial surgeons at Michigan OMS help people of all ages overcome the oral and facial issues that are keeping them from enjoying life to the fullest. Doctors Jeffrey S. Topf, DDS, Nicholas Bournias, DDS, Brian Murphy, DDS, and Thomas Bolten, DDS, MD are board certified oral and maxillofacial specialists providing caring and complete treatments such as corrective jaw surgery (orthognathic surgery), surgical dental implants, wisdom teeth removal and other extractions, bone grafting, and distraction osteogenesis (DO) to name a few. They also successfully diagnose and treat a number of patients suffering from issues such as sleep apnea, cleft lip and palate, TMJ disorders, facial pain, facial trauma, and other conditions keeping them from leading a productive and pain-free life. 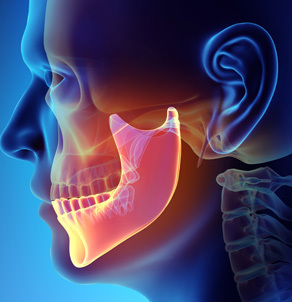 Michigan OMS understands that sometimes the thought of oral surgery prevents people from achieving a confident smile and the ability to eat the foods they love. Our kind and caring staff want to assure you that each one of our locations offers our patients a comfortable, safe atmosphere to diagnose and treat your oral or facial condition. We are one of the few offices in Michigan with the ability to provide in-office IV sedation for those treatments and patients that require it. With referrals from Michigan's leading dentists, orthodontists and physicians, Michigan OMS is a name you can trust to get amazing results.